You may be trying one or more of these treatments. Other options may provide the relief you’re looking for. FESS is a common surgical method to treat chronic sinus infections. In a FESS procedure, the surgeon uses a magnifying endoscope inserted through the nostrils to see and remove affected tissue and bone. In general, the goal of sinus surgery is to flush out infected material, open up blocked passages, and keep enough healthy tissue intact so that your nose and sinuses can function normally. A special tool is used to insert a small balloon into your nose. Once secured in the right spot, the balloon is inflated to open and drain your blocked sinus pathways. When the passageway is open, the balloon is deflated and removed. Like with other types of BSS, your provider will inflate a balloon to clear your sinuses. The difference with image-guided BSS is that your surgeon uses a navigation screen to see a map of your sinuses and the location of the balloon in real time. 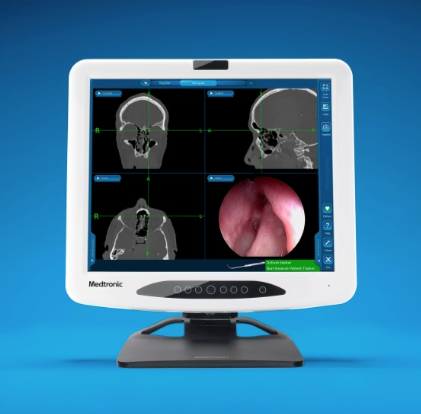 The NuVent™EM Sinus Dilation System is the only system designed, tested, and integrated to work with the image-guided Fusion™ ENT Navigation System.